Truth be told, this annual task takes hours to complete and I often wonder if anyone actually reads the lines on the Excel spreadsheet after the students' names. Much to my surprise, a recent conversation with the guidance counselor changed my view on the importance of sending out this information. Ms. H stopped me in the hallway to thank me for sending her a list of the sixth grade ESOL students. She read through the Can Do descriptors and has been using them to craft conversations with students. She has found that by planning out initial questions that are geared towards the students' language proficiency level, she is able to have more engaging discussions and learn more about her students. This conversation has inspired me to keep disseminating information to my colleagues (within reason, of course) without becoming so focused on immediate feedback. If you are interested in obtaining your own copy of the WIDA Can Do Descriptors, they have recently been updated are are available here. The Super Bowl always promises some form of entertainment and this year's game was no different. 84 Lumber created a commercial that while deemed to be too controversial for a general audience (in its entirety), mirrors the reality of coming to the United States for many of our students. The first part of the journey was aired during the Super Bowl, while viewers were directed to go to the company's website for the conclusion. The website ended up crashing, so I have posted the entire commerical below. A quick review of my most recent bank statement confirmed that I will most likely not be taking the train to New York City to see Hamilton, the hottest show on Broadway any time soon. However, several months ago the administration decided to pull me from my math assignment and asked me to co-teach a social studies class. This is a United States history class and we are currently learning about the founding of our country. This presents the perfect opportunity to use material from Hamilton in a classroom setting. The WIDA ACCESS 2017 season will be upon us in a few short weeks. My state adopted WIDA ACCESS 2.0 last year. While I cannot complain about the results of the test, after administering it to several hundred students, I did notice that many struggled with basic typing as well as speaking into a microphone. In order to better prepare our students, my department created reading and writing exercises via Google Forms and uploaded them to a Google site that we created. We hyper-linked listening exercises from Randall's Cyber ESL Lab to this website as well. Finding speaking exercises proved to be a little more challenging. Finally, after discovering Lingt Classroom, I created my own speaking exercises. This website has some premium features, but offers a free version as well. I opted for the free version and was able to make up to six speaking exercises available at a time. Please note that this website is not iPad friendly. 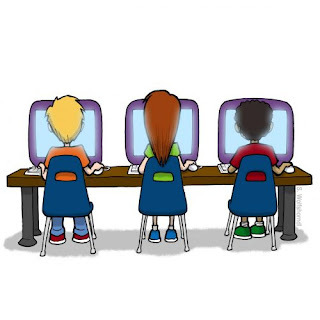 In order to better prepare the students as well as kill two birds with one stone and ensure that all audio functions were working, we accessed our website using the testing computers. This allowed the students to become comfortable with the equipment and allowed the teachers to make note of which computers to ask the IT coordinator to take a second look at before testing begins. As we count down to this year's round of testing. the students have indicated that they feel more confident and are prepared to do their best. I'll continue to keep my fingers crossed.